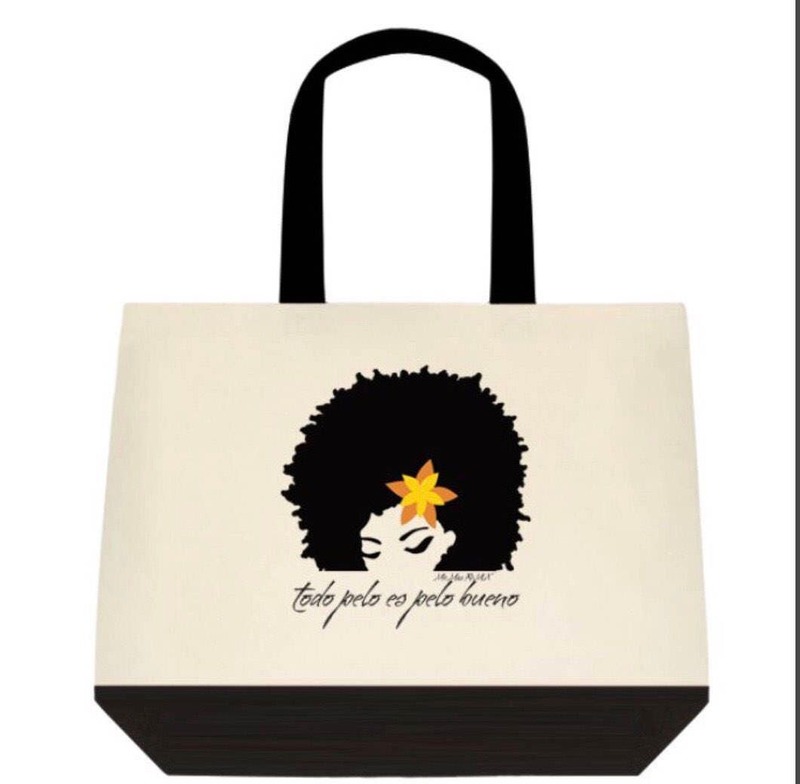 A stylish tote with a positive empowering statement, "todo pelo es pelo bueno/all hair is good hair" with the choice of it stated in español or english. Either way, it's a straight to the point message that the texture of your hair does NOT determine whether it is good or bad. 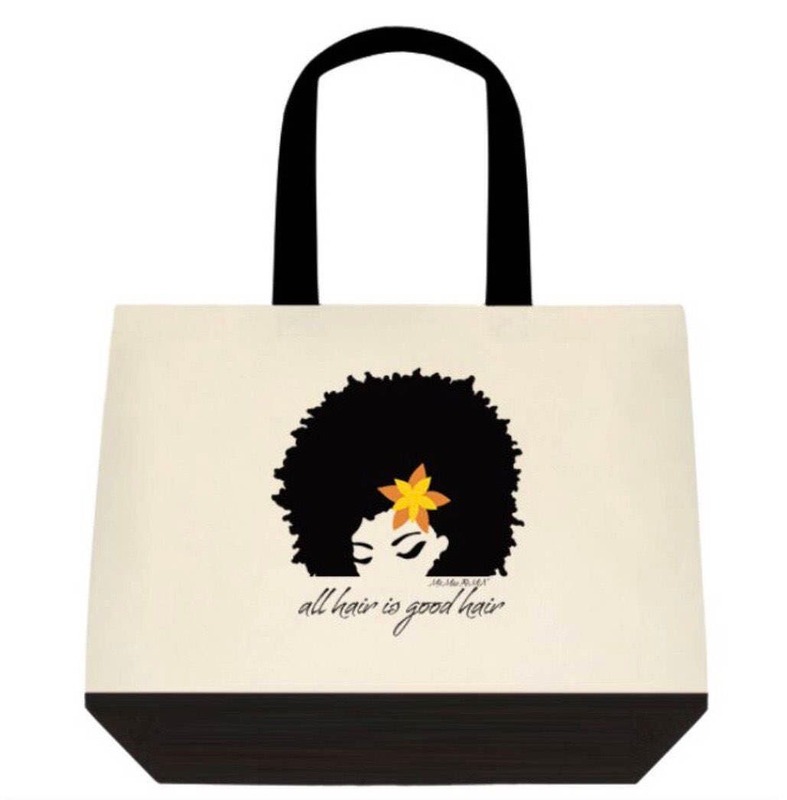 Rock it with sass, pride and YOUR naturalista beauty! This versatile bag is great for anything from running errands to hitting the gym or beach. Made from cotton canvas and with natural hair pride in mind. Please allow 2 weeks for processing and delivery.